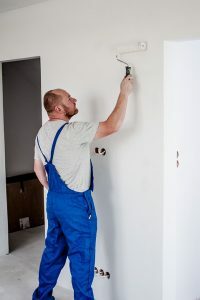 Premiere Painters has been proudly serving our community by offering painting and decorating services for the past 8 years. Client satisfaction has always been our number one priority. We take the time to make sure that you are completely satisfied with the work that we do. Our skilled and highly qualified team have years of experience in residential and commercial projects throughout the city and we always work closely with the client to make the project a success. When you hire our team we are here to make sure that you don’t have to lift a finger. We will empty your space with the utmost care, properly package your delicate items and move all the furniture for you. Your carpets and floors are safe with us and the quality of our work speaks for itself. If you would like to speak to us about a project then please don’t hesitate to contact us.